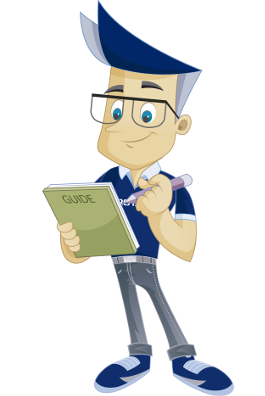 This guide details how to proceed to create a subdomain in cPanel. Type a prefix for the subdomain you want to creatw. In this example we have typed "demo". If you have several domains in your account, choose the domain you want to create a subdomain under here. In this example we have chosen the domain "dittdomene.net". Type the path to the folder which will be the root folder for the new sub domain. In this example we have used the path "public_html/demo". Click on the "Create" button to create this subdomain. You have now created a new subdomain. In our example we have now created the subdomain "demo.dittdomene.net". The folder "public_html/demo" has also automatically been created since it did not exist before. It is in this folder the contents of the subdomain will be placed. To go back to the overview screen for subdomains, click on the link "Go back". In the overview screen for subdomains, under "Change a subdomain",we will se a list of all the subdomains that has been created. If you want to open the root folder to see the contents of the subdomain in File Manager, click on the link below "Document root". If you want to change which folder is the root, click on the button. If you want to delete the subdomain, click on the link "Remove". If you want to make a change in the forwarding from the subdomain, click on the link "Process redirection". 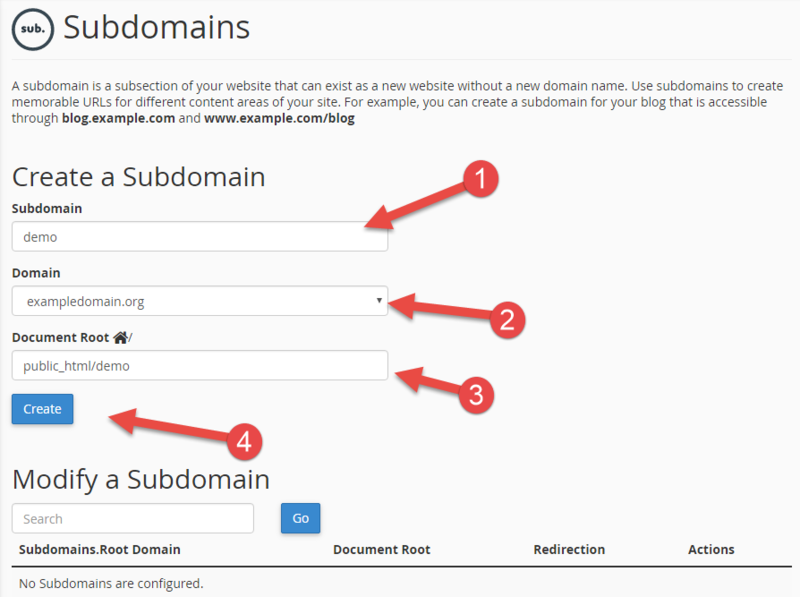 We have now been through how to easily create a subdomain. We have also shown how to easily manage and remove a subdomain.